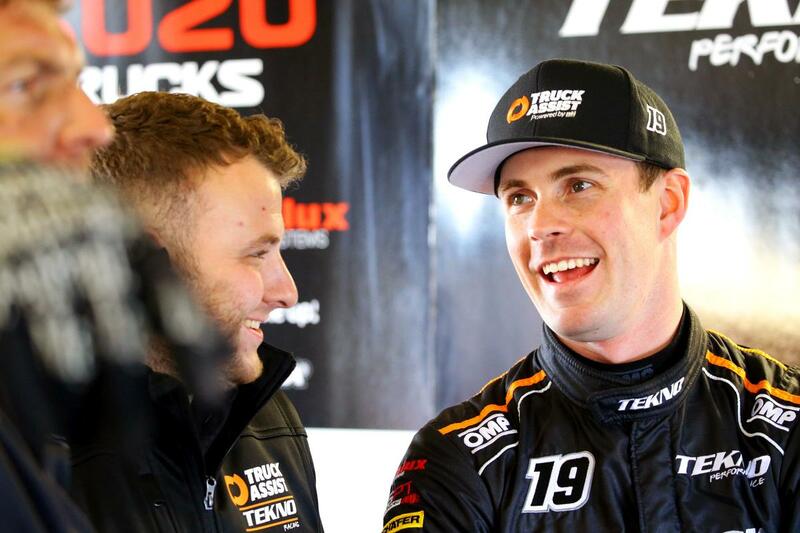 Truck Assist TEKNO Racing driver Jack Le Brocq had a tough weekend at Tasmania’s Symmons Plains Raceway for the latest round of the Virgin Australian Supercars Championship, with the event’s two races netting a pair of 22nd place finishes. “It was a bit of a tough weekend for us after having such a good run here in 2018,” said Le Brocq. “Saturday’s race wasn’t too bad, there was a bit of action and some good racing at the start. “Today the race started off really well, but unfortunately the brake balance adjuster broke, which wound on heaps of rear lock and made the race very difficult. The weekend kicked off with a co-driver only practice session, with team principal Jonathon Webb taking the wheel and setting the 18th best time. With Le Brocq back in the hot seat for Friday’s two general practices, the car improved from positions 25th to 19th in the respective runs. Saturday’s action commenced with another 30-minute-long practice, which netted the Truck Assist Commodore 19th, before Le Brocq qualified 20th in the first knockout style qualifying session of the season. In the opening 50 lap encounter, the number 19 car found itself in 22nd position at the end of the opening circuit, before climbing up to 10th prior to the compulsory service on lap 21. Holding station in the run to the chequered flag, Le Brocq was eventually classified in 22nd. In the fourth and final practice session on Sunday morning, Le Brocq registered the 20th fastest time, an effort that was repeated in the final qualifying session for the weekend. A clean getaway in the race saw Le Brocq settle into 17th place, and following some tight racing, the team completed the first compulsory pit service from 11thon lap 24. Running long once more in the second stanza saw the car stop for the second time on lap 51 after running as high as 15th position. In the run to the chequered flag, Le Brocq made it past the ailing Anton de Pasquale to claim 22nd. Following the opening three events of the season, Le Brocq currently sits 22ndin the standings, with the Supercars Championship continuing next weekend at the Phillip Island Grand Prix Circuit.